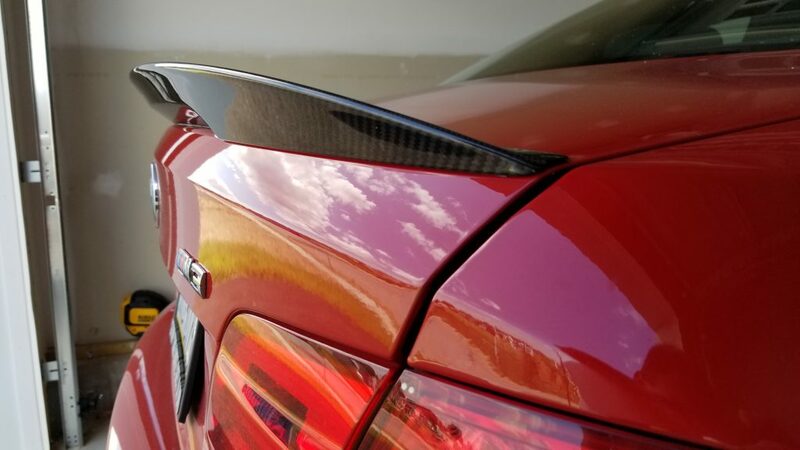 I thought I would write a DIY on adding a carbon fiber spoiler to my E92 M3. There are plenty of threads on the forums and some YouTube videos, but most have image links that have expired and mostly show the beginning and after with none of the trials and tribulations in between. I will show you how I did it and what worked to get me to the end. I am a big fan of real carbon fiber. 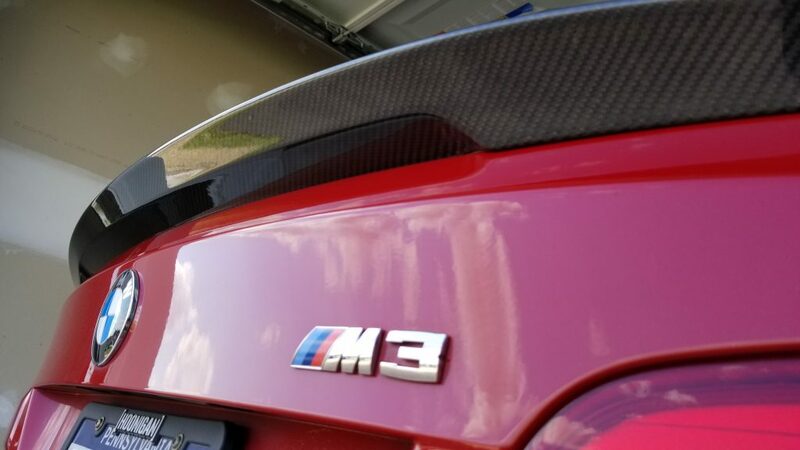 I hate all that fake carbon fiber coated crap you can find on the web, so I knew I would opt for the OEM carbon fiber spoiler from BMW M Performance. I ordered mine from ECS Tuning. Once the spoiler arrived I took time to soak in the quality of the item. Gloss carbon fiber on the exposed bits and raw carbon fiber on the interior of the spoiler. I began compiling all the tools I would need to remove the OEM spoiler and install the carbon fiber spoiler. Those the bare minimum tools required, but I highly recommend spending a few more bucks to get a 3M Adhesive Removal Wheel. Removal is simple, but time consuming. Pick an end and begin blasting it with heat. 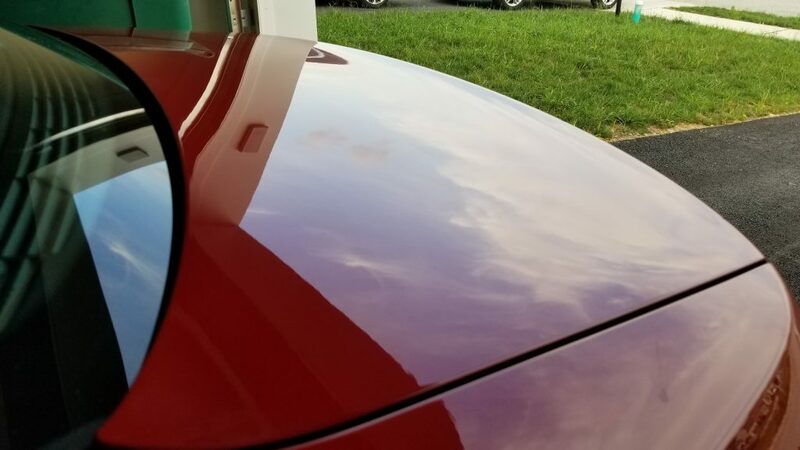 After a few minutes, put some fishing line between the spoiler and the trunk and work it back and forth. The goal being to cut into the tape and pry the spoiler away. Rinse and repeat, eventually your hard work will produce results. 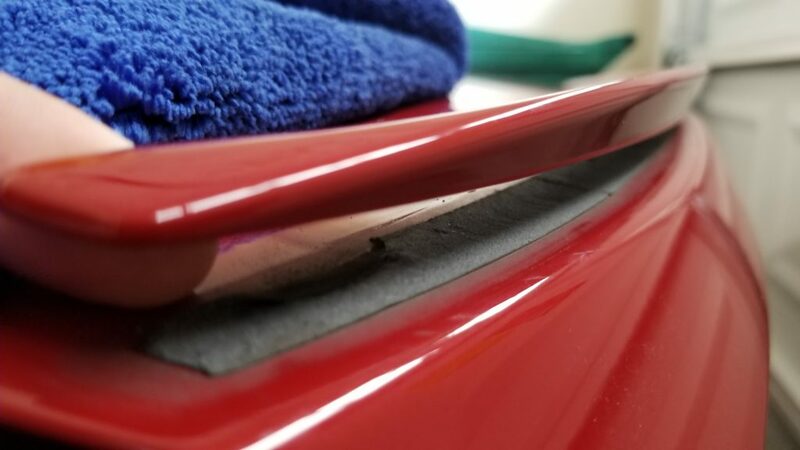 Eventually, the tape will give and you will be able to remove the spoiler leaving a layer of tape remaining on the trunk. This is where time can be saved with a 3M Adhesive Removal Wheel. I honestly have no idea how long or how efficient I would have been just using adhesive cleaner and elbow grease. 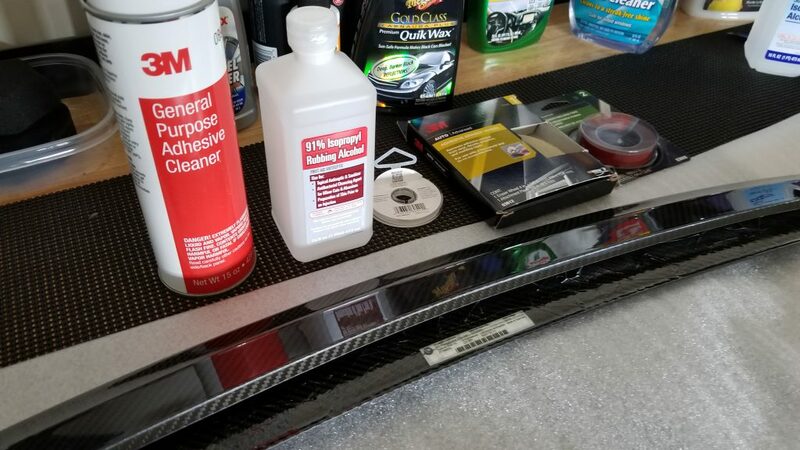 Once all the tape was peeled off I hit the trunk area with some of that 3M Adhesive Cleaner then made sure the trunk was 100% clean with the rubbing alcohol. First step, is test fitting the spoiler on the clean trunk and taping off the ends to get a template on where the spoiler should sit. 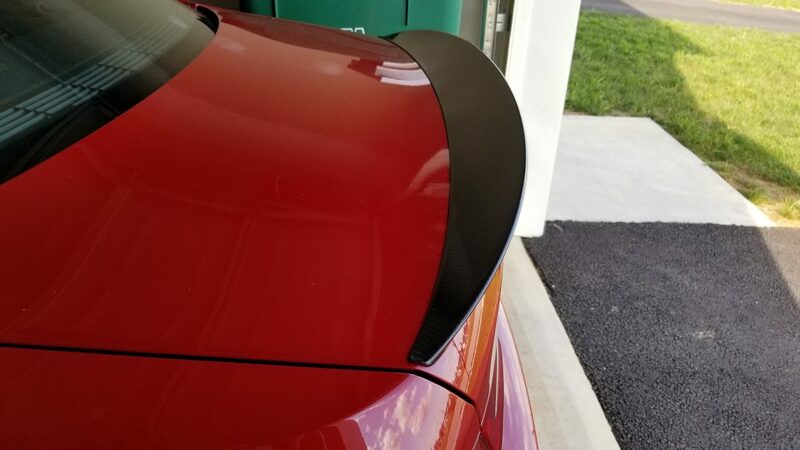 You need to do this ahead of time because if you have tape already on the spoiler you cannot test fit it. I mentioned there is BMW Betalink liquid adhesive, but that is a permanent option. I may want to sell this spoiler in the future or who knows upgrade to a wing, so I went the 3M automotive tape route. 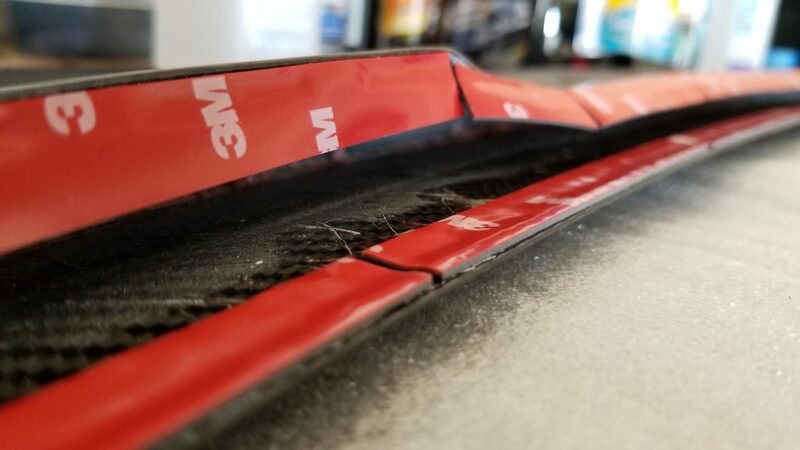 I cut and applied a gratuitous amount of tape to the bottom of the spoiler then lined it up with my taped off template points and committed. 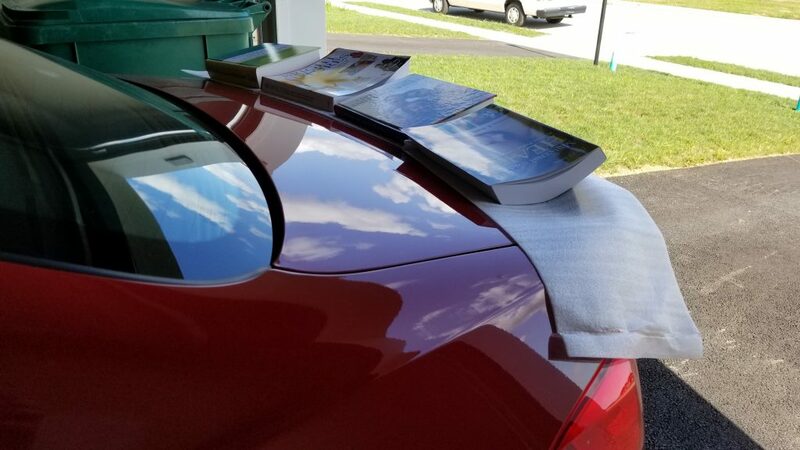 I pressed down hard multiple times then eventually put my wife’s old college text books back to work to put weight on the spoiler overnight. 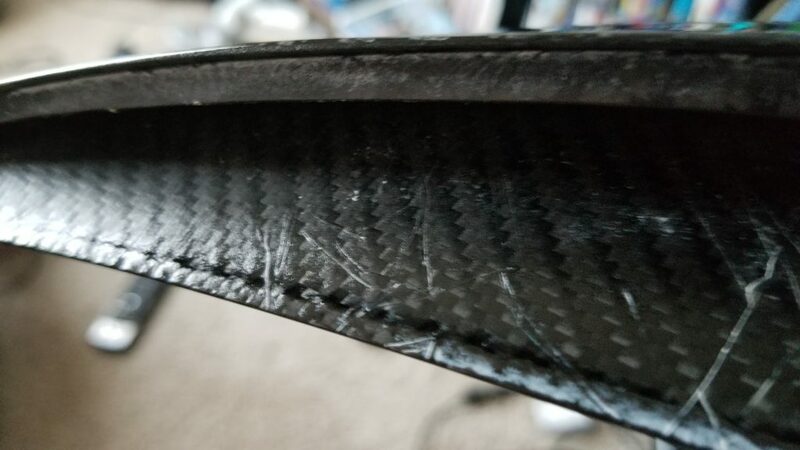 The next day I put some quick grips on the ends with styrofoam in between to not damage the carbon fiber to ensure the tape bonded 100%. In the end I think it turned out great. Let me know what you think or even if you have suggestions for the future. I would love to hear them. If you liked what you saw, be sure to follow my Instagram (@DKorecki) which is 50% cars, 25% my M3 and 25% my dog Loki.